Chris Cillizza of the Washington Post confirms a data point implicit in today’s news that the FBI has found 15,000 emails from Hillary Clinton’s unsecure homebrew server, from which she conducted the work as Secretary of State and housed classified information. She hid more emails from the State Department than she handed over to it for mandatory federal records keeping. Clinton deleted more emails than she turned over. 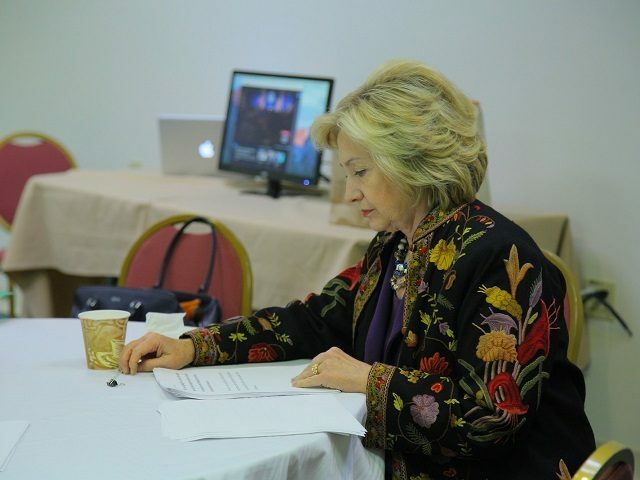 Her team never actually read all of the emails, skimming subject lines instead. And there was never anyone outside of Clinton’s direct orbit brought in to oversee the process. The essence of Clinton’s argument regarding this email-sorting process was: Trust me. As in, my team of lawyers found all of the emails that were even tangentially tied to my day job as the nation’s top diplomat and turned them over to the State Department. [W]e know from FBI Director James B. Comey that during its investigation, the FBI found several thousand work-related emails that had not been previously turned over by Clinton. While these 15,000 appear to be at least part of what Comey is referring to, there’s no way today of knowing how much overlap between those two sets there actually is.